R.G.R. (Gordon) Cassidy was an innovator and visionary, who led the development of Queen’s Executive MBA program in Ottawa in 1992. In 1994 he led the launch of Queen’s National Executive MBA program, the first to be delivered across Canada by video-conference. 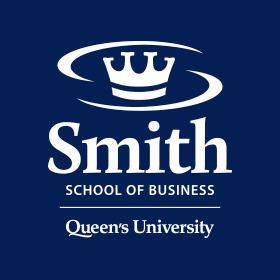 This educational delivery model allowed the school to expand beyond Kingston to offer a series of high quality MBA programs across Canada and subsequently across the Americas. Gordon’s strong teaching skills earned him the university-wide Frank Knox Teaching Award in 1997. R.H. (Bob) Crandall graduated from Queen’s in 1951, eventually becoming a CA. In 1959, as Queen’s Bursar, he was instrumental in revamping Queen’s financial planning and control systems. On completing his Ph.D. at UC Berkeley, he returned to Queen’s. An inspired and inspiring teacher and researcher in accounting and organizational behaviour, Bob was the epitome of a great teacher and mentor. He actively liaised between the accounting profession and the School, becoming a Fellow of the ICA in 1976. R.L. (Rick) Jackson left his mark on the school as a professor of negotiation and industrial relations, mentor, and Commerce program Chair. Recognized for his teaching excellence by Queen’s and multiple times by the Commerce Society for his contributions to student life, he infused his classes with real-world lessons from current events, history, and his experience as a mediator and arbitrator. He championed initiatives such as I.C.B.C. and QBET, true to his belief that much of the educational value of attending university is to be found in extracurricular activities. C.A. (Carl) Lawrence, of the Wharton School, taught Marketing and was Commerce program Chair through its explosive growth during the late 1960s and 1970s. A larger-than-life personality he was known and loved by many people around Kingston and particularly by the generations of Commerce students who crossed his path. He was also responsible, as Acting Dean (1977-78), for formalizing many of the reporting, promotion and tenure decisions in the School which earned him considerable respect from the faculty at the time and in subsequent years. J.E. (Ev) Smyth, a Chartered Accountant, arrived immediately after World War II to help deal with the exploding population of ex-servicemen in the Commerce, and Canadian Banker’s Association correspondence, courses. Teaching Accounting and Commercial Law, he is fondly remembered by former students as a well-prepared and excellent teacher with a finely-tuned sense of humour. He became a noted figure in both fields especially as a co-author of an important text in Law and Business Administration in Canada with D.A. Soberman of Queen’s Law School. The Selection Committee thanks all nominators for celebrating individuals who have shaped the School's history.